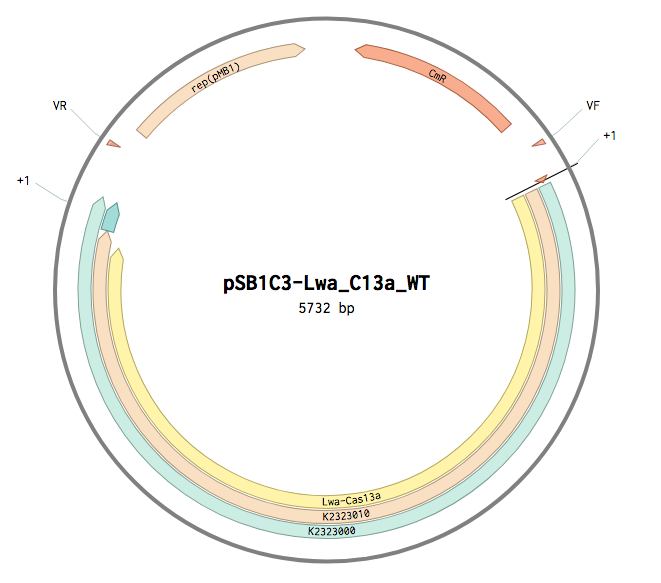 Cas13a is a CRISPR/Cas effector that specifically binds and digests RNA based on its crRNA sequence. After digestion of this target sequence, Cas13a undergoes conformation change and presents collateral activity, i.e. it indiscriminately digests RNA molecules. The coding sequence is followed by Tphi terminator.